Should read “120 fee”t, methinks. Rob, what are your thoughts on (primarily western) Antarctic ice shelves acting as a “plug” that holds back the interior continental ice sheets and glaciers which generally reside at higher elevations? The implication being that as the warming ocean undermines the ice shelves, gravity will work to increase glacial flow towards sea level. Also, what do you think of the Harper Administration’s gag order on climate scientists in Canada? The shelves are shattering and the ice behind them is speeding up. We have three papers so far this year showing that’s exactly what’s happening now. In addition, we have some of the plugs for East Antarctica now showing signs of softening up as well. Harper is a fossil fuel funded thug. The fact that he rules a country is a clear sign that corporations have turned the clock back to at least the 15th century when it comes to just governance. Gagging science? The Spanish Inquisition would be proud. I meant NZ for ‘NA’. Seems that the Wilkes basin remains stable until another 80 mmworth of sea level rise melts away from that zone. In any case East Antarctica does have a number of high speed glaciers of concern. All forces are ramping up with no end in sight. Or maybe the end, for humans, is in sight. The amount of research coming out this year is just astounding. Thanks for this link! An almost never included factor for the WAIS breakup is the huge open spaces under large portions of that ice sheet. I wonder if you have any insight, or sources better than mine, as to the potential for the now many fast moving ice streams w/in the larger WAIS to actually weaken it structurally such that ocean water might leak in. 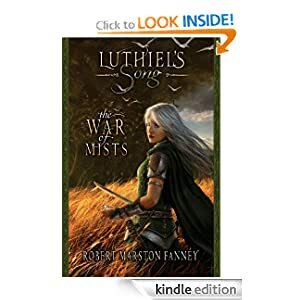 All that might cause the beginning of an even larger, and sooner, collapse of most of the WAIS side of the dividing mountains. Huge portions are below sea level and any weakening and cracking will allow for water access further and further into the interior zones. My opinion is that from now to the point of basal inundation the process will be speeding up. I don’t have a time-frame as the available science is rather thin on this issue. Thanks for your prompt response Robert. And Colorado Bob’s comments are enlightening. I am not a scientist, but a retired guy who went back to school, this time in the sciences and discovered Climate change by myself. Studied it daily for 8 years now. Since I discovered the under/ basal caverns … have been concerned about abrupt. Important that is included in the S/L calcs … could be a major element. Your question is an excellent one and I’ll cast the net out to see what I can find on it. Asking Bob as well. Excellent post, maybe your best yet. There’s another paper out recently on the Totten and Moscow University Ice Shelf pointing to the same suspects as seen around the WAIS. I’ll go find it. Totten Ice Shelf is simulated to have higher, more variable basal melting rates. We link this variability to the volume of cold water, originating in polynyas upon sea ice formation, reaching the sub-ice-shelf cavity. Hence, we propose that the observed increased thinning of Totten Glacier is due to enhanced basal melting caused by a decrease in cold polynya water reaching its cavity. A new NASA-led study has discovered an intriguing link between sea ice conditions and the melting rate of Totten Glacier, the glacier in East Antarctica that discharges the most ice into the ocean. The discovery, involving cold, extra salty water – brine – that forms within openings in sea ice, adds to our understanding of how ice sheets interact with the ocean, and may improve our ability to forecast and prepare for future sea level rise. “I was curious why Totten was changing so fast when the glacier just next to it wasn’t changing much,” said Ala Khazender of NASA’s Jet Propulsion Laboratory, Pasadena, Calif., lead author of the new study, published online Dec. 5 in the journal Nature Communications. Combining satellite observations with ocean numerical modeling, Khazender and his colleagues developed a hypothesis that reductions in the volume of brine would increase Totten’s thinning and melting. Additional research supported that hypothesis. Also shows how sea ice, in general, is a healthy ocean mixing agent. Fantastic reports. Thanks for them. Will read in full… Good find. Thanks! The constant stream of papers in real time is a huge help. I’m hoping those here are enjoying reading them as much as I am. Basal melt appears to be a major enabler, especially early on. My opinion is rain on ice sheets plays a greater role as the ice sheets soften further. Warm rain will attack Greenland in one summer season. Just like Pakistan in 2010. The monsoon that year brought warm rain the very high places . All of which fed the Indus. I wrote about it , I have satellite images to prove my hypothesis . Have to agree. Blocking pattern + thickening atmosphere bringing warm rain to GIS one summer in the not too distant future. This paper got little notice , what I find interesting it’s in East Antarctic , and it was the first of this string of reports leading to today. I was stunned when I read the Totten was adding one Lake Erie ever week the the ocean. And the world said nothing. Granted, it’s not going on every week , but that’s big vote on the problems Miami is facing. East Antarctica is popping up more and more in the research. Looks like we are starting to lose ice plugs in key areas. I think it was you who posted another recent paper RE the issue. Velocity of change appears to be quite high at this time. Have you seen a comprehensive assessment of East Antarctic glaciers undergoing destabilization? Greenland and Antarctica every decade. I believe he’s, yet again, correct. Thank you for this, Robert. Excellent. Implications are otherwise. Hansen produces excellent work on both potential ice sheet losses and the consequent climate destabilization. Saw his work on GIS and Antarctic exponential melt possibilities with a potential for 2 meters SLR by mid century and much more by end. If that happens we probably end up with extraordinary storms on top of SLR for quite some time to come. Thanks for the kind words, Kevin. The scientists have done amazing work this year and one hopes to do them justice. The Totten glacier in East Antarctica …………. It currently discharges enough ice into the surrounding ocean to fill Lake Erie in just over a week. The nearby Moscow University Glacier and its floating ice shelf were showing little change. Why the difference? “We were convinced that the answer must be in the ocean,” Khazender said. This statement points to what we found this year. . and the point of Robert’s excellent overview. Where the sea bottom , and the currents allow it, the the ice , both North and South is under attack by ever more warming oceans. These warming waters are releasing the brakes on the land locked ice . 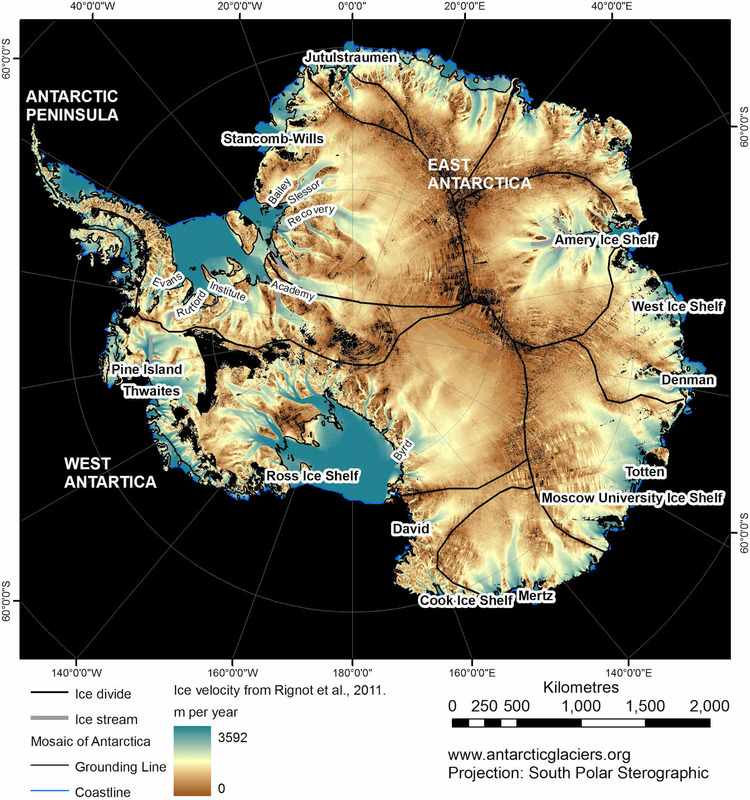 Have you seen any good papers on Antarctic ice basement properties? Will be good to get a decent overview as time moves forward. Not word, but that can only explain why the Totten took off and the Moscow didn’t . They sit cheek and jowl . I don’t know what’s worse republican stupidity, lack of patriotism, or completely blind pandering to fossil fuel special interests. IMVHO, Republicans are not stupid. Granted they are anti-intellectual. But they exhibit great cunning, a masterful ability to deceive (itself a sign of great intelligence) and a profound self-interest. When it comes to climate change, they’re exhibiting a tribal affinity with the fossil fuel industry that has nothing to do with the problems climate change might create. Their goal is to assure the continuity of the accounting for untapped fuel reserves upon which the net worth of the FF corporations depends. It’s a very calculated choice. They chose to preserve capital and to heck with the future. A choice that their grandkids will rue for their entire storm-tossed lives, as I see it. As to blind pandering, I don’t see it as blind. I see it as calculated and cunning, and very, very self-dealing. Cunning and intelligence are two markedly different attributes. A cunning troll can still be blatantly stupid. Is it possible that a glacial outburst may come from something like the perennial firn aquifer found on Greenland…If you think of how this giant water body will progress as it is fed more water, and the boundaries holding it in place weaken, it is not that difficult to see it execute an abrupt discharge (like an outflow lake below a glacier). It may. You see the soft spots holding water may form weaknesses in the glacial interior where melt lakes eventually form. Not the smaller melt lakes like we’ve seen at the surface, but large melt lakes that drive all the way to the bottom of the ice sheet and are captured as the ice collapses in on itself like a mushy snowball. Such large melt lakes, should they form, would eventually be at risk of major outburst flood events. 27,000 cubic miles is a huge volume of water that, alone, could significantly increase sea level. That would make for some great documentary footage (a large melt lake taking down the surrounding ice) – though it would be better were it not to happen at all! Melt lake over-topping and inundation of melt lakes at lower altitudes on the glacier, rains over glaciers resulting in over-topping, large glacial outbursts from the base of glaciers, and large melt pond formation followed by ice dam collapse are all things we need to start thinking about. That Chasing Ice documentary was phenomenal. 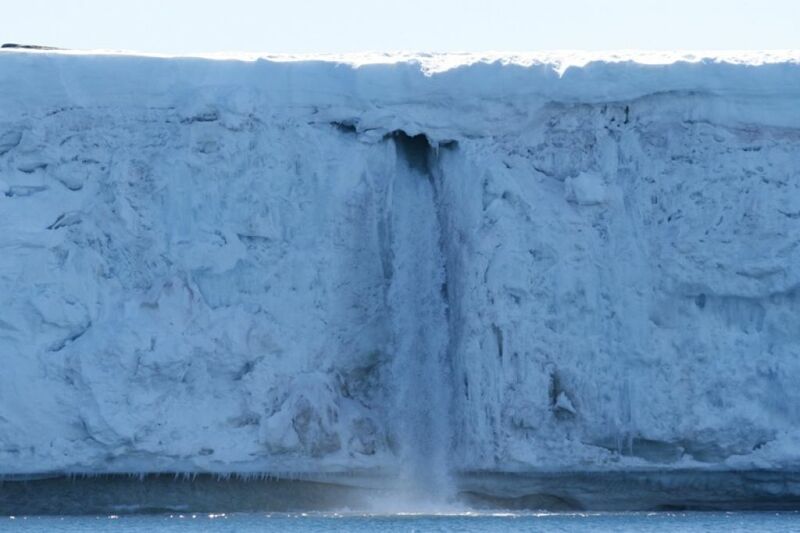 There’s a a fresh paper that says giant pools of water are held inside the Ice Sheet. There is a whole other post about new finds from Greenland , saying the same thing . The oceans can flow deep deep under the glaciers , and melt them at will. Because the ocean is changing as warms. Saw that as well and had prepped a post for it before this one popped up. Will probably write an update on Greenland soon. SLR by itself is an amplifying feedback as it will expose more of the basal zone to water heat forcing and result in greater potential flooding of basement areas. Yes , SLR is a feed back loop all by it;s self . And the SLR is conducting ever warmer water. That is not be in the models. I think the models need a bit of work still. There might be another feedback in play to mitigate rising seas from reaching further under the bases of the ice sheets. SLR apparently is slower than the continental uplifting in response to the relief of weight after a substantial portion of the ice has melted. And the lifting is happening at an impressive pace already. Of course that doesn’t help much if ice sheets are grounded much below the current sea level already. In a bigger picture and the vast redistribution of water masses and the surprisingly fast response from the lithosphere opens up another risk category: volcanism going through the roof. Annual rates of sea level rise already exceed the low end of the this range. Even a modest rate of sea level rise of 1 meter per century exceeds the average range of even the most rapid zones of isostatic rebound. I take it you don’t mean a home basement area? 😉 If so, I’d best get a wetvac ASAP! Just kidding, you’re referring to the base of glaciers where they connect to the bedrock, right? As to the question of the base of the various ice sheets, once an ice stream begins its journey toward the ocean … and the plug is gone, the glacier gains speed from the warming and melt caused by friction. Once in motion, its momentum increases and the extra speed increases the melt, etc. As it gains speed a forcing occurs on each side … again by friction. That friction pulls more of the larger ice sheet … in some cases up to 6Xs the original width. Ditto the speed toward the ocean, up to about 6Xs the speed. Lotta variables of course, like grade, depth and weight, but once the plug goes, not much except Divine Intervention can stop it. EXCEPT, there are the enormous open spaces below the WAIS because it sits, is anchored, by two [at least] mountain tops. Should the 6 [or is it 8?] ice streams coursing downward in that ice sheet at ever increasing speeds and sizes somehow fracture the larger ice sheet’s integrity, then a fissure might occur. That happens and should water find its way into the under ice sheet caverns … the situation could get out of control very quickly. Sad to say, Greenland’s ice sheet has deeper valleys that previously understood and some have open spaces too. Same scenario. Not a nice situation. All the topographic maps of these frozen lands look quite ugly to me. Thanks for the excellent observations. That latest paper about the deep past I’d love to see the Milankovic cycles laid over it . How close were we to the sun ? What was carbon content at the time ? 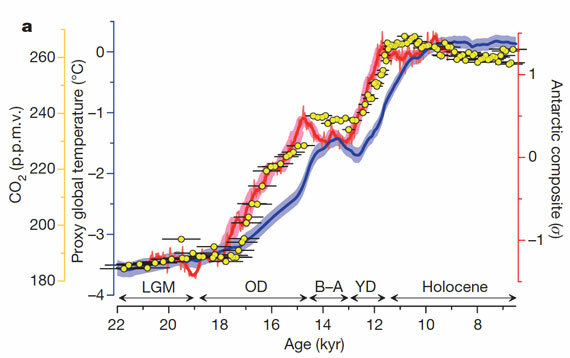 Global solar insolation from Milankovitch peaked between 18,000 and 13,000 years BP. That large melt pulse was very close to the absolute peak of solar insolation. At 18000 YBP we have CO2 at 190 ppmv. At 13000 YBP we have CO2 at 240 ppmv. 2 C temperature increase during the same time implies a 25 ppm CO2 feedback from the Earth System per degree C as a combined result of insolation forcing and feedbacks. If we melt all that ice , with low CO2 then our theory is correct . And the Milankovitch is confirmed . . According to paleoclimate 550 CO2 and probably about the same CO2e is enough to melt all the ice. And we are about 18-22 years of BAU away from hitting the 550 CO2e number. Now that’s scary. The southern half of Florida is living on borrowed time. The Everglades will become the ‘Neverglades’. At some point, perhaps after a particularly bad storm, the many thousands of giant exotic snakes in the Everglades will be forced upland and inland, to where the people live. I can see Hollywood turning that scenario into a horror movie. “…And you thought snakes on a plane was bad”. I wonder how many politicians in Florida have considered the coming ‘snake apocalypse’ 😉 and it’s connection to sea level rise, and thereby, to the global warming they don’t believe in. Florida is a land facing inundation. Any rational political system serving Florida’s self-interest would be fighting tooth and nail to eliminate fossil fuel emissions. Instead, the governing organs of Florida are held captive by, essentially traitorous, politicians aligned with fossil fuel interests. Marineland? I’m thinking Submarineland is more apt. But if we flood the world with CO2 , we well burn the to pieces . There is giant cycle that will save us . We have to cut carbon as fast as we can. FYI & another resource or a different sat-view (overload?) out Europe there is Meteostat that is geared to earth biosphere data etc. Various data to maybe reinforce the same thing that is of great importance. If you have time, take a look. I didn’t see it mentioned in the blog. All sensors are helpful. Thanks for these! If memory serves, doesn’t paleoclimatology suggest rates of increase in sea level of inches in a year are possible, at least for short bursts? That would be rather serious, were it to occur. However, I think we can somewhat discount the sea level threat personally as it is a future thing, and we have plenty of now things to already take into account. If the cities drown after all the inhabitants already died, who cares? We have to get to that point or be confidently able to get to it to worry about it too much (though as a corollary anyone expecting to scavenge the resources of derelict cities should note a lot of them will be underwater later – even if later was a few generations down the line). Paleoclimate suggests that glaciers fail in catastrophic pulses with most of the indicated sea level rise occurring over short time frames. Large failures would have a very rapid impact on a short timescale. 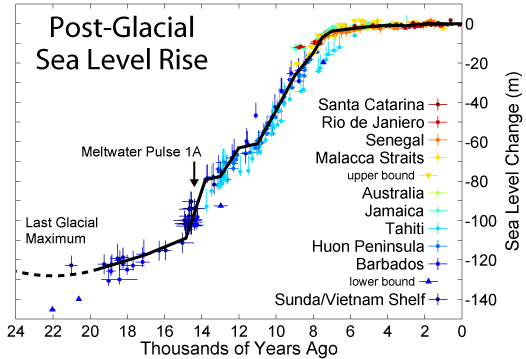 It is likely the sea level rise graph above is smoothed over time. The real measure probably contains very large spikes at the initiation of major events that we currently don’t resolve in the proxy data. The interesting implications of which would be that if we should happen to be wrong about the timescales of Antarctic failure (and the most pessimistic estimate I remember seeing that I take seriously says later this century (at least after 2050 if memory serves), many cities could get a rather nasty shock. Just has to happen “faster and worse than expected”, right? On the plus side, when cities do start to go under (however long it takes), at that point there is a very unambiguous signal for the majority of the worlds population (who live in cities, most of which are near to sea level). Only with the wolf at the door can people take this seriously apparently (maybe by the time it’s broken into the living room it’s too late, but oh well). Please forgive if this has been covered elsewhere but when thinking of CO2E I believe it’s important to remember short-lived aerosols. The unintentional yet not inconsequential masking of the whole gas bag of greenhouse gases. As yet, this ‘aerosol parasol’, this ‘fools climate’ is inadequately monitored. Best guess is that it about negates the positive forcing of all GHG’s other than CO2 itself. Mostly sulfates from coal fired power plants….. So, as one scientist (at least) says we might not want to get instantly rid of this crap, thus exposing the planet to the full wrath of all the other ‘stuff’. If you are a Chinese or other SE Asian coughing on this, you have a right to disagree…. That all this melting at the ends of Earth is underway With this short-lived visible cooling pollution causes my head to spin. Some good excerpts from Hansen and others on this topic. Aerosols are complex in that they amplify methane. Overall, CO2e is at about 425 when aerosols + other ghg are included. So it masks about 3/4 of the additional forcing of other ghg. The substantial methane overburden in the Arctic points to a clear and significant contribution from sources in the region. It is likely that at least 40 teragram (roughly equal to megatons) are emitted from the Arctic each year. I regularly cover the topic here. Thanks, Mark. What can I say? Welcome to The Anthropocene! I’m reminded of Thoreau’s advice: Simplify, simplify,simplify,,,,, from 160 or so years ago… But ‘progress’ got in our way. I so wish all 7.2+ billion of us could grow up immediately with our every daily movement predicated with the consciousness of ‘first do no harm’. My take on history and science suggest we will take a different path. Sorry for the digression, others. Won’t happen again! 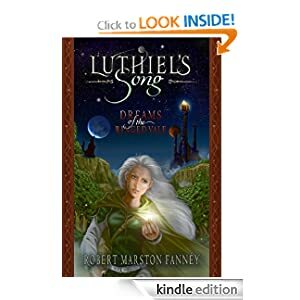 I don’t think Robert minds if we digress a bit from each topic post – so long as we generally stick with global warming and its implications, both related to the natural world and the political world! Regarding the topic of (more) rapid sea level rise, I hope policy makers in coastal cities are paying attention to this new research. NYC, Boston, Miami, etc. are in a lot of trouble, as are countries such as Bangladesh and the small island nations of the Pacific and Indian oceans. It gives new meaning to the term “sunk assets”. I had a rather disturbing thought the other day. There is a “concern deficit” regarding food crops and their eventual migration due to climatic shifts. For example corn will need to be planted further north as the “corn belt” shifts. Some crops such as coffee & cocoa are known to be in trouble as their growth zones move up mountains, the existing areas becoming more difficult an stressed. If the climatic zones shift north, then during the growing season these crops will receive a different amount of light, and the light / dark ratio that they receive will change ( the mix ). This may cause early flowering for some as this is a primary trigger for the growth cycle. Whether it is the ratio of light / dark or number of hours of light, then ratio of light / dark is different further north which incidentally would provide a late season mix earlier. This effect might further reduce/impact yields as the growth zones shift north. Absolutely Andy. Very good points. And, for North America at least, the soils in Canada, with the exception of the southern parts of the prairie provinces and Ontario, are not suited to growing crops. The soils under spruce-fir forests and very thin and acidic. It takes a bit of time for plant migration to take hold and prep soil states. The current pace of change doesn’t allow for that. There are a very large and growing number of potential crop disruptions that are starting to take place now and you’re certainly right that drought, flood, fire isn’t the whole of it. Robert – I’d love to hear your views on the geologically unprecedented rapidity of human-cause global warming, the speed with which Antarctica and Greenland are melting, and the possibility for dramatic and dangerous increases in volcanism and earthquakes in Greenland and the Antarctic as the result of sudden isostatic rebound — which would of course melt and shatter more ice, creating a positive feedback loop. This is the sort of question that causes most people to roll their eyes and start using the “nut ball” label, but dramatic tectonic happenings at the end of the last ice age do point toward such events, though it is hard to say how quickly they might manifest. On a much smaller scale, here in Vermont, we all know that when unseasonable hot weather hits in snowy February, that is no day to park your car beneath the eaves! The 50,000 dollar question is, how much ice melt and isostatic rebound do you need to cause major earthquakes and volcanism? And how soon might that happen? Most scientists would say no time soon, but I don’t know that that view is based on any real studies. Also, climatologists have very little background in geology. I do know geologists have already expressed concern. The possibility for polar earthquakes (in the Arctic around a rebounding Greenland) also raises the question of submarine landslides, which could dislodge large amounts of methane hydrate, another serious positive feedback. This all sounds like science fiction. But then, a mere decade ago the total loss of the summertime Arctic ice sheet by 2020 and the irreversible melting of WAIS also sounded like science fiction. — Is anyone really studying tectonic impacts at this point? The science on the geophysical impacts of rapidly induced isostatic rebound is rather thin, especially as it relates to current climate change and the pace of earthquakes/volcanism. That said, it is abundantly clear that loss of ice on the order of equivalence to many mountains per year creates a substantial negative stress on local crustal zones that is likely to rebound throughout in the global tectonic system. Under such conditions, it is highly likely that we see an increase in the pace of earthquakes at least and, potentially, the pace of eruptions as well. The additional positive crustal pressure over the large ocean basins is also likely to have its own set of impacts. A recent study I covered found that the frequency of undersea landslides increased by a factor of 10 during the period of rapid sea level rise at the end of the last ice age. In any case, changing stresses on the Earth’s crust will almost certainly have far-reaching effects. Yes Andy and Mark. Good points. Regarding coastal cities preparations: Two months ago I was listening to an engineer from Boston talk about just that . Wholly inadequate sea wall stuff. A local professor (here 100 miles inland) replied that our small city/area would be better off planning for refugees. Food, clothing, energy wise… resources etc: we’ve yet to even seriously begin to think of ourselves/each other. The time for talking has long been here. Time for listening and agreeing a course? Not yet. My advice to my parents who live in Virginia Beach: move to Charlottesville. Long before oceans devour these coastal cities, the insurers abandon them and real estate prices crash. At this point, it becomes nigh impossible to recuperate value in your home. Yabut, investor boys & girls, who want their money to GROW, are following what could be the largest foreign investment in U.S. history. There’s an industrial boom underway in Louisiana, thanks, in part, to a rise in fracking. A massive new plant under construction in Lake Charles is expected to create 7,000 jobs at the peak of construction, according to a new report in the Wall Street Journal. South African state-oil company Sasol is pumping $21 billion into the 3,034-acre complex in what could be the largest foreign investment in U.S. history, according to the Journal. And is yet one more addition to the greatest malinvestment in history. Wouldn’t it be ironic if SETI discovers intelligent life elsewhere in our galaxy, or astronomers find an Earth-analog planet, at the same time we self-destruct our own civilization? The ability of an advanced civilization to live in harmony with its home-planet is perhaps the first ‘intelligence test’ a species like ours must pass in order to become ‘cosmic citizens’. The test is pass-fail, and I’m not so sure we’ll pass. I hope so. We deal with an issue all species that dominate their environments encounter — damage to the ecology that sustains us. Intelligent species have the capacity to do that on a global scale. So what I wonder is this — are we wise humans, or are we just simply cunning and exploitative. If the latter, we don’t stand a chance. One possibility: our evolution has created humans as individual actors vice herd or group members. So we’re essentially “me-first” as opposed to “group-first” creatures. So we have little innate capacity to join together in a global movement. Whether our intelligence is enough to overcome our individuality in time is the big question. Humans are adaptable enough to make their own choices. And the choices engender what we become, long term. Less determinism. More responsibility. I really don’t understand this stupidity. Years ago The Oil Drum had several posts explaining why fracking would inevitably fail to produce cheap gas and now you even see MSM articles talking about current and impending bankruptcies. Yet hundreds of billions are still being thrown at it? On top of the fields starting to deplete and long term supplies dropping (or needing gas to be $10-$12/MCF) they are also now building out liquid NG export ports and massive chemical plants. It is completely insane. Cognitive dissonance on an epic scale. It is one thing to make investments that turn into money at the cost of the environment and society, but the FF industry is now destroying reality and setting itself up to lose all its money too. They’ve been masters of the universe for too long. They are too proud to invest in renewable solutions with the vast sums of capital they still control and they are too blind to see that fossil fuels are a double loser due to inevitable stranding of assets and ever increasing costs due to depletion. Hubris is killing them. Yes, it’s completely meshuggah. Add on top of this, the pols in Washington are “guaranteeing” Ukraine’s natural gas security by promising exports of US natural gas once the ports are up. When is that, 2020? By that time, it’ll be THE Ukraine again. functionally 425ppm CO2e when all is considered then to my understanding the ice melt stands explained. The additional ghg forcing from non CO2 is approx + 80 CO2e. The aerosols mask about 55-60 ppm CO2e of that (approximately 3/4 of the non CO2 additional forcing) and so we end up with a current net global forcing around 425 ppm CO2e once aerosols are included. “In addition, once the aerosols drop out, the devil comes to pay a visit…” – so I should be grateful for the often hazy views from the tops of mountains here in the northeast! How ironic, that if we stop polluting, things would heat up real fast. It’s what made the Permian Extinction so vicious. It’s what James Hansen calls the Faustian Bargain. In our case, when we burn fossil fuels, the resulting aerosol emission masks some of the warming. As a result, we live under an umbrella of false security. For when we stop burning the heat mask falls away with the aerosols. It’s worth noting that we are now at about 481 CO2e without the aerosol mask factored in. If brine affects ice melt, what about the changing ph of the oceans? Is there a devils brew taking place with the brine, changing ph and heat? The brine impacts sea ice, ocean circulation and ocean chemistry, among other things. Changing ph is involved with carbon loading, solubility, and the nature of the ocean carbon sink in addition to having direct impacts on ocean life. What we are doing to the oceans is almost certainly a devil’s brew, as you say. Thanks, Robert. Got it. I’ll try in future to be more precise. (I’d been under the impression aerosols had a somewhat stronger negative forcing as best as is currently understood). Any way to donate some aspirin? As for aerosols, I dug into the IPCC data and did the math to convert watts per meter squared to net CO2e forcing and then to subtract out the negative aerosol forcing (search for an article I recently penned entitled Faustian Bargain on the Short Road to Hell). Notably, the 20 year methane forcing without aerosols is 80 x CO2. But once you add the aerosol mask, methane increases its efficiency to absorb the remaining radiation to 105 x CO2 at the 20 year horizon. So the 425 CO2e number is probably a shade conservative. Having just read your Faustian Bargain piece and after 24 years of hammering away at this I must say you,Robert, have a true gift for communicating with clarity and faithfulness to the science. Deeply appreciative! Thanks, Kevin! I promise to keep doing my best for you! still we’re not sure which one, the WAIS extension or the northern great glaciers of Laurentide (Cordillerian+Labrador) and Europe (Weichsel+Würm) started the rise of the sea levels out of the last glacial maximum. One might even argue that it doesn’t matter the way things are. The bit on /#comment-14377 about warm rains over Greenland or the increased not-so-cool upwelling under Antarctica, people should start planning new places for harbours soon. But is it +5 or +9 maybe +15? The paper found that WAIS began contributing as early as 20,000 years ago. It’s not a question of Laurentide or AIS. It’s an issue of Laurentide and AIS. I wonder if there is also a potential for saddle type collapse in Antarctica as described in this paper by UK research in Nature. If the ice in valleys between Antarctic mountains behaves in this way it’s another potential means of acceleration. Mark writes of Florida’s S/L rise issue. Have you ever considered Mark … that w/ about 3′-4′ of S/L rise Florida becomes an island state? Yes, a tragedy in slow motion. Unfortunately my beloved Cape Cod will also suffer the same fate eventually. The stability of the Wilkes marine ice sheet has not been the subject of any comprehensive assessment of future sea level. Using recently improved topographic data6 in combination with ice-dynamic simulations, we show here that the removal of a specific coastal ice volume equivalent to less than 80 mm of global sea-level rise at the margin of the Wilkes Basin destabilizes the regional ice flow and leads to a self-sustained discharge of the entire basin and a global sea-level rise of 3–4 m. Our results are robust with respect to variation in ice parameters, forcing details and model resolution as well as increased surface mass balance, indicating that East Antarctica may become a large contributor to future sea-level rise on timescales beyond a century. My question, comment, concern Greyson, is that given the increasingly rapid melt of Greenland and of the WAIS, to include the sometimes neglected WAIS rapidly melting peninsula which itself holds 2’+- of S/L … rise and including the melt from the margins of the EAIS … it seems likely that the 80mm you reference in your comment will be supplied from the accumulation of these other sources, and much sooner. Has that variable been factored in, and if so, how does it affect the timing your reference? Current rate of global sea level rise gets us to 80 mm in about 24 years, although rate of rise at Wilkes May be different. That said, I think the reference was to portional melt from the basin itself. Given the number of ice sheets now destabilizing or in irreversible collapse, rate of sea level rise is likely to begin acceleration in the near future. The 80 mm rise referenced in the study is only an ice-equivalence number, not an amount of SLR that would trigger release of the Wilkes Basin ice. The portion of SLR equivalent from the basin that would need to melt in order to destabilize the larger region, in other words. With all the recent news about Antarctica’s glaciers, it’s as if they’ve written off any northern hemisphere ice as an unavoidable loss.